Many students feel the need to use Adderall without a valid prescription to help them stay focused in their studies. Although it may seem necessary to take Adderall without a valid prescription, either due to academic pressure or simply because it is popular among your peers, this is a misdemeanor in California. This crime carries very serious punishment including but not limited to a lengthy jail or prison sentence and hefty fines. Prosecutors may file additional charges against you depending on the circumstances of events leading to your arrest. Students often use Adderall when studying for an exam. Most people who abuse Adderall begin use without a prescription. Due to the frequently reported improvements in focus and concentration, it is common for students to abuse the drug. Under California Health and Safety Code Section 11350, it is illegal to possess Adderall without a valid prescription. The crime is a misdemeanor that carries serious consequences. Possession of Adderall is unlawful when you do not have a valid prescription. It is not necessary for you to actually hold or touch Adderall to possess it. Possession is enough if you have control over Adderall or the right to control it, either personally or through another person. Agreeing to buy Adderall does not by itself constitute that you have control over the substance. California criminal law generally defines possession in three different ways: actual possession, constructive possession, and joint possession. Possessing Adderall in any of these ways is illegal. Actual possession of Adderall means that you have direct and immediate physical control of the substance and Adderall is on your person. For example, you can mean that you have Adderall in your pocket, in your backpack, or in one of your body cavities. You can still be charged if it was obvious you possessed Adderall shortly before a police search, even if Adderall is not on you at the time you are searched by law enforcement. Constructive possession of Adderall means that Adderall was not found on your person but was found in an area that you have control, either directly or through another person. Simply having access to Adderall or being near the drug or someone who has the drug does not constitute constructive possession, you must have control over the area. For example, the police can find non-prescribed Adderall in your desk but you are not home at the time of the search. You would not have actual possession of Adderall but constructive possession of the substance and you may be charged with HS 11350. Joint possession of Adderall means that you and at least one other person share either actual or constructive possession. For joint actual possession, this could be where you and your friend are both carrying Adderall on your person. For joint constructive possession, this could be where Adderall is found in a desk in a home that you share with a roommate. You must know of the nature of Adderall and its presence to be convicted of possession. You do not need to know the chemical makeup of Adderall, just your knowledge that it is a controlled substance is enough to meet this requirement. What is a “Usable Amount”? Possession of Adderall without a valid prescription is punishable as a misdemeanor. If you are convicted, you can face up to 364 days in county jail and a fine not exceeding $1,000. There are several legal defenses for a charge of possession of Adderall without a valid prescription that a skilled criminal defense attorney can raise on your behalf. In order to convict you for a charge of possession of Adderall without a valid prescription, a prosecutor must prove you did not have a valid prescription or that you used Adderall beyond the scope of your prescription. If you have a valid prescription for Adderall and you were exercising your use of Adderall within the scope of the prescription, your skilled attorney can raise this defense on your behalf. In order to convict you for a charge of possession of Adderall without a valid prescription, a prosecutor must prove that you knew you possessed Adderall and that you knew of the nature of the drug. If you had no knowledge of either the presence of Adderall in your possession or of its nature, your skilled defense attorney can use this as a valid defense in your case. . Under California Health and Safety Code Section 11351, it is illegal to possess Adderall for the purpose of sale. This offense is a more serious crime than possession of Adderall without a valid prescription for personal use. Possession of Adderall for sale is a felony offense. Possession of Adderall for sale is punishable as a felony and if you are convicted, you face two, three, or four years in state prison. In order to convict you for the crime of possession of Adderall for sale, a prosecutor must prove that you intended to sell the Adderall in your possession. If you only intended to use Adderall for your personal use, your skilled Adderall defense attorney can raise this defense to possibly have your charges reduced or even dismissed. Under California Health and Safety Code Section 11352, it is illegal to sell and transport Adderall. Selling in this offense means to exchange Adderall for money, services or anything of value. Transporting in this offense means to move Adderall from one location to another. It is irrelevant how far Adderall is moved, so long as it is relocated. Selling and transporting Adderall is punishable as a felony and if you are convicted, you face up to three, four, or five years in state prison. Under this offense, a firearm is any device that is made to be used as a weapon where a projectile, such as a bullet, is discharged through a barrel by an explosive or combustion force. Possessing Adderall while armed with a firearm is punishable as a felony and if you are convicted, you face up to two, three, or four years in state prison. Under Proposition 36, Penal Code 1000, and California drug courts, drug diversion programs allow some people who have been convicted of non-violent drug possession offenses to serve their punishment in a drug treatment program instead of serving time in prison or jail. If you are convicted of certain Adderall offenses, you may qualify to participate in a drug treatment program instead of spending time in jail or prison. Once you complete a drug diversion program, you may be qualified to have your drug charge dismissed. Our clients often seek our professional legal advice about the specifics of their case. Here are some common questions we receive from our clients who are facing drug crimes involving Adderall. 1.What are some common street names of Adderall? 2. Can I be convicted of a crime if I did not know that Adderall was present? Not if you hire an experienced attorney. In many crimes involving Adderall, the prosecution must prove that you knew Adderall was present at the time the drug was found in your possession. If you had no knowledge Adderall was present, your skilled attorney will be able to raise this defense in your case. Thus, you should not be convicted of this crime if your attorney presents a strong defense in your case. 3. Can I be convicted of possession of Adderall if I did not intend to use or sell it? Yes, you can still be charged for possession of Adderall even if you did not intend to use or sell it. 4. What is the difference between the crime of possessing Adderall and the crime of possessing Adderall with intent to sell? Although the two crimes are similar, the crime of possession of Adderall with intent to sell has far more severe consequences than merely unlawfully possessing Adderall. The main difference between the two crimes is that, to be convicted of possessing Adderall for the purpose of sale, the prosecution must prove that you possessed the drug for the purpose of selling it and not merely for using it. This is often proven based upon the amount of the drug you had in your possession. In addition the prosecutor will attempt to show that you had other items with you that would indicate you intended to sell the drugs, such as a scale or other measuring device. If you or someone you know has been charged with a crime involving Adderall, contact one of our experienced drug crime defense attorneys at Wallin & Klarich today. Our attorneys at Wallin & Klarich have over 30 years of experience successfully defending clients facing drug crime charges involving Adderall. Hiring an attorney from Wallin & Klarich may be your best chance to avoid the serious consequences of a conviction for Adderall crimes. 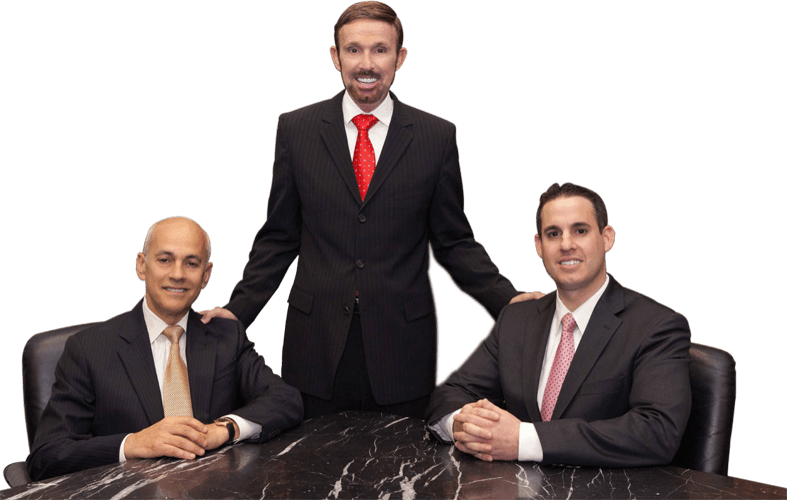 With offices in Los Angeles, Sherman Oaks, Torrance, Tustin, San Diego, Riverside, San Bernardino, Ventura, West Covina and Victorville, our criminal defense attorneys at Wallin & Klarich are available 24 hours a day, 7 days a week to provide you with the very best legal assistance. We are dedicated to giving you the personal attention you deserve during this difficult time. We are here to help you get the best result possible in your case.